A Cotswold Year: Buzzard looking for Earthworms. Happy New Year. Yesterday our son who was home came downstairs to tell us he had seen a big brown bird in the field in front of the house. On inspection it was a Common Buzzard walking around the field amongst the mole hills. We have observed these birds quite often, but had failed to photograph them previously, this time we managed to although still quite distant. 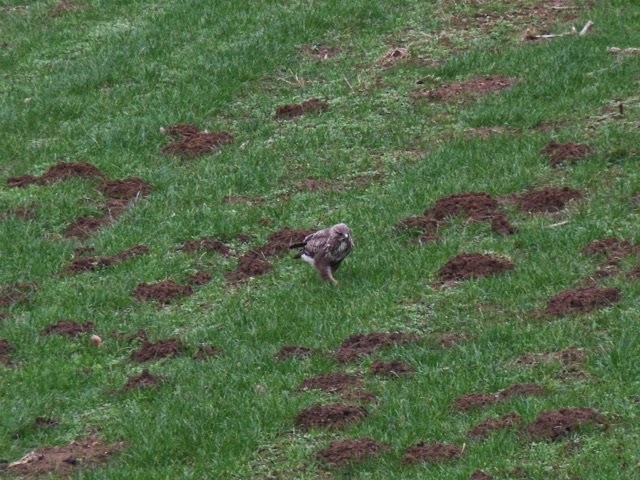 We have seen Buzzards even run around the field attracting worms to the surface. Our research shows that Buzzards eat worms during the winter especially to supplement other food sources. 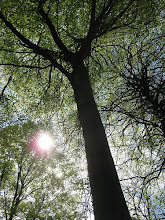 They have very long guts which mean they can absorb goodness from what is a poor source of nutrients.